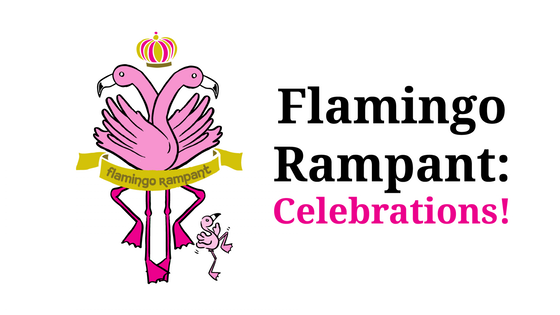 FAQ: Flamingo Rampant LGBT2Q Children's Books: Celebrations Set! Will the 2 Spirit book be written by someone Native? What about the Eid book, will it be written by someone Muslim? Yes! Thank you for asking and YES! ALL the books will be written by people who are representing their own cultural/religious holidays and festivals. While it's pretty common (especially in children's publishing) to ask the same few authors to write about all kinds of experiences, Flamingo Rampant values the opportunity to nurture new LGBT2Q talents and voices (and pay them, too!). We regret that our superhero baby shower book will not be written by someone with verified supernormal powers (though we think Tobi is for sure a superhero). All books and tote bags will be shipped out before the end of September. Digital rewards will come mid-October, once we've been able to digitize properly. And for those expecting greeting cards, they're not finished yet but we have delightful surprises in store and you'll have something super in the late fall. Will the 2 Spirit book be written by someone Native? What about the Eid book, will it be written by someone Muslim? I want to know when my reward is shipping. I am having trouble filling out my survey. I would like to make a change to my pledge. I would like help with preorders. I have a issue with my pledge finances. I have a question for the project creator. I have a question not listed here. I want a refund for my initial campaign pledge. I have a question about BackerKit.